4 Bedroom and 2 Bath in Bay Branch Villas! 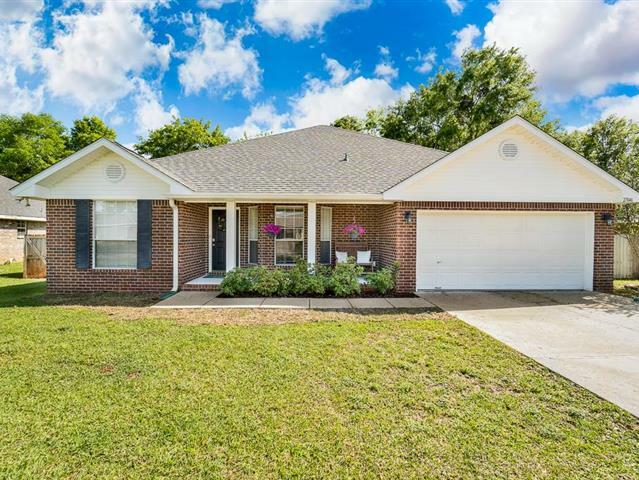 This is a precious and easy to maintain brick home on a level lot with a big backyard! Get ready for a simple one story home lifestyle! A wonderful front porch greets you – ready for your rocking chairs or porch swing. You’ll love the open floor plan layout with split bedroom living and clean lines throughout. Experience easy to maintain vinyl plank flooring throughout most of the home; with carpet in only two of the four bedrooms. This home has tall ceilings, a large living room, corner fireplace, and natural light! And the roof is new in 2019! You’ll enjoy an open kitchen with stainless steel appliances, a custom butcher block island, and a breakfast bar. The kitchen has new light fixtures and there’s a fun slat wall in the dining area. The large master bedroom features a walk in closet, double sinks, separate shower and a jetted garden tub. Bay Branch Villas is a wonderful community with sidewalks and low HOA dues. All information provided is deemed reliable but not guaranteed.